Submitted by peter on 17 December, 2008 - 08:39. Sales at this years Thai Motor Expo were actually pretty reasonable considering the current political and economic difficulties that Thailand is facing. Approximately 14,000 cars were ordered at the Expo which was attended by around 1.5 million visitors. There are no surprises at the top of the sales table, with Toyota and Honda leading the pack with 4,193 and 2,552 bookings respectively. Business as usual really! Third place went to Isuzu with 1,760, which might seem like a big gap until you remember that they only sell trucks and truck derived SUVs. Submitted by peter on 6 December, 2008 - 13:21. Proton are continuing their assault on the Thai market with the Persona CNG. The Persona enters a very very tough segment, with existing models have very commanding positions. We can't go far here without comparisons to the almost bulletproof Vios and the equally solid City, and this is what the Persona faces. Submitted by peter on 5 December, 2008 - 23:28. The Chinese made Geely (JEE-lee) CK has made its way to Thailand via the Yontrakit group, the Thai import company that has traditionally brought in luxury and premium models. 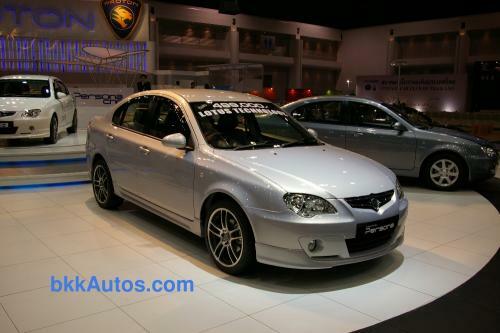 Recently, the company has switched to bargain basement offerings like the Naza Forza, and now the Geely CK. The Geely CK aims to offer a low-cost alternative to the Toyota Vios and Honda City. Although this might look like a credible option at first glance, the reality is that this car should not be on the road at all, and I believe that Yontrakit are going to regret the decision to bring it to Thailand.